Alongside our other main franchises of McCormick tractors, Vicon and Weidemann Loaders, we also offer a range of other farm machinery sales franchises including Dieci Telehandlers, Strautmann, Teagle, Maschio and Bomford Turner. We are confident that all these sales franchises allow us to offer our customers an almost complete farming solution. Formed in 1962, it wasn’t until 1998 that Dieci produced their first range of telehandlers. 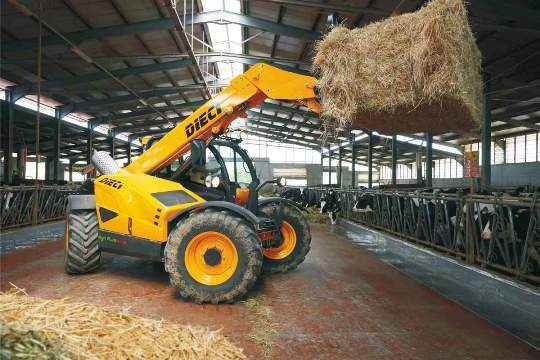 Since then Dieci have gone on to produce a powerful, quality-built range of telehandlers suitable for use in both the Agricultural and Construction sectors. For more information on the Dieci Telehandler range contact our sales team or visit the Dieci Telehandler website. 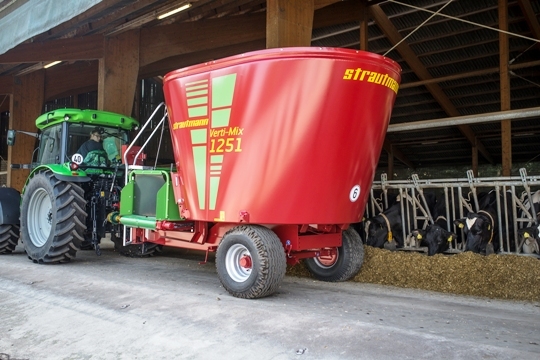 For more information on the range of Strautmann Diet Feeders and Forage Wagons, contact our sales team of visit the Strautmann website. Teagle Machinery was established in 1943 in Cornwall and consists of a wide range of farm machinery offering quality and innovative products. Their market leading Tomahawk range of livestock Feeder Bedders is the most complete line-up available from any manufacturer in the world. 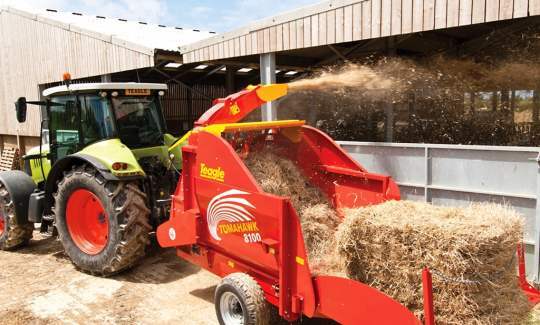 Tomahawk range of bale processors including the C12 Calibrator Bale Processor, Drum Tomahawk and Box Tomahawk. Grassland range of Pasture Toppers, Dynamo Finishing Mowers and Roller Mowers. Fertilisers Spreaders consisting of the XT Range and Centerliner Range. There are also a wide range of Flail Mowers and Mulchers, Swath Conditioners, Tillage and Cultivation and Muck Spreaders. For more information contact our sales team or visit the Teagle Machinery website. Arm Mowers: With an impressive twenty two models in the range suiting compact tractors as well as full size tractors with reaches up to an impressive 8.1 metres. Flail Mowers and Rotary Toppers: Consisting of nine models in the range, these machines offer quality, function, value and robust design. Heads – With a variety of Flail Heads starting from 950mm cutting width up to 2 metres, most heads offer a choice of 7 flails and the ability to adjust the rotor speed to suit verge or hedge. Attachments – With a wide selection of attachments including Rotary Heads, Weed Brushes, Pro-Saw, Sheartrims, Collector Head, Hydraulic Roller, Ditch Cleaner, Debris Blower and Pro-Saw Loader Frame. Flails – Most of the Bomford heads have the ability to fit any one of the eight flail designs on offer. 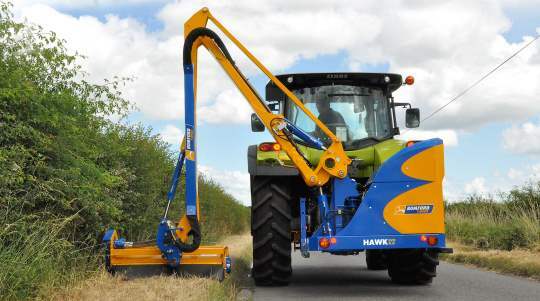 Tractor Fittings – All Bomford hedge cutters attach to the tractor using 1 or 2 styles of mounting systems. Controls – Control options range from the simple, much-used cable control through to the fully adjustable ICS Intelligent Control System that can be programmed/ personalised by the operator. The Bomford Forestry range consists of the Buccaneer, the Buccaneer Excavator, the Buccanner Excavator Mini and the Tree Lopper. Bomford also offer the Dyna Drive Cultivator and the remote controlled Flailbot. For more information contact the sales team or visit the Bomford Turner website. Flail Mowers: With nine models in the range to suit tractors from 25hp up to 300hp and widths from 1.13 metre right up to 6.2 metres. Power Harrows: With eight models in the range to suit tractors from 30hp to 550hp and with working widths from 1.3 metres up to 8.12 metres. Rotary Cultivators: With ten models in the range to suit tractors from 15hp to 380hp and with working widths from 1.05 metres up to 6.28 metres. 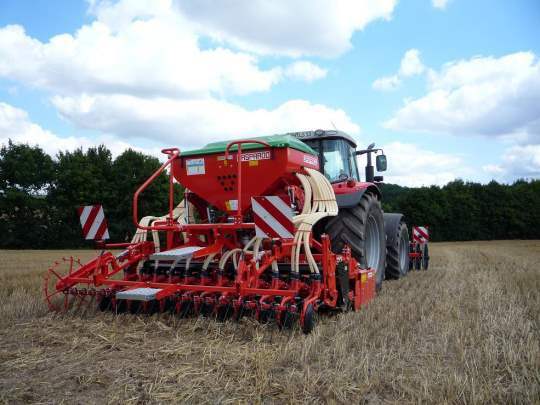 Seed Drills: With four models to choose from including three combination seed drills and one tine seed drill. Hedge Cutters: Consisting of the ‘Camilla’ hedge cutter from 4.5mtr to 6.0mtr, suitable for tractors of 60hp plus and the ‘Katia’ hedge cutter from 5.5mtr to 6.5mtr, suitable for tractors of 80hp plus. Ploughs: There are two models in the range. The UNICO M is the mid-range line suitable for tractors up to 200hp and topping out at five furrows. For more details contact our sales team or visit the Maschio website.